The area around the Mediterranean Sea has been the cradle of Western Civilization for thousands of years, playing a profound effect throughout history. Less well known is the influence of this area on agriculture. Many of our fruit trees either originated in this basin or became well adapted to it. Here we will discuss which fruit trees grow well in this type of climate, and how the Groasis Waterboxx PlantCocoon, or Waterboxx, can aid in their growth. The Mediterranean Climate, or dry summer subtropical climate areas, have warm summers, mild winters, and rarely have temperatures below freezing. Only a few areas of the world (in California, the original Mediterranean basin, Chile, South Africa and Australia) are blessed with this climate. This climate can prove challenging for growing fruits, however, because of the lack of rainfall during the main growth phase of many fruits. Also, establishing trees in the Mediterranean climate is extremely difficult due to this dry summer - new trees must be irrigated or must obtain water from another source - like the Waterboxx. The Waterboxx is a rain and dew harvesting device that, once assembled and put in place, saves the gardener from watering the tree ever again. The Waterboxx can be removed and reused for up to ten years and ten different trees. The Waterboxx uses its lotus leaf inspired lid to channel water, from dew and rainfall, to the roots of a growing plant, while keeping several (four) gallons of water in reserve for the dry summers of the Mediterranean climate area. A cross section view of the Groasis Waterboxx - dew and rainfall is collected by the tan lid, directed into the green reservoir by the red siphons, and slowly distributed to the roots of the plant by the white wick. With standard use, the Waterboxx has about 300 days of water in its reservoir. The Waterboxx is filled with just 4 inches of rainfall. Which fruit trees grow and produce fruit well in the Mediterranean climate? Pomegranate, Fig, Loquot, Mandarin, Carob, and Lemon are all excellent trees for this region. Several of these fruits are less well know in the U.S. but all are known by horticulturalists to be well suited to dry summers and mild winters. Some of these trees actually produce winter crops - a great boon to those who want year round fresh fruit. One of the great virtues of the Mediterranean climate is its ability to produce fruits year round. Below you will see trees grouped by when their fruit is harvested. To the author (who was raised in the Midwest), pomegranate fruit looks otherworldly, and tastes heavenly. Pomegranates make excellent juices and add flavor to smoothies. 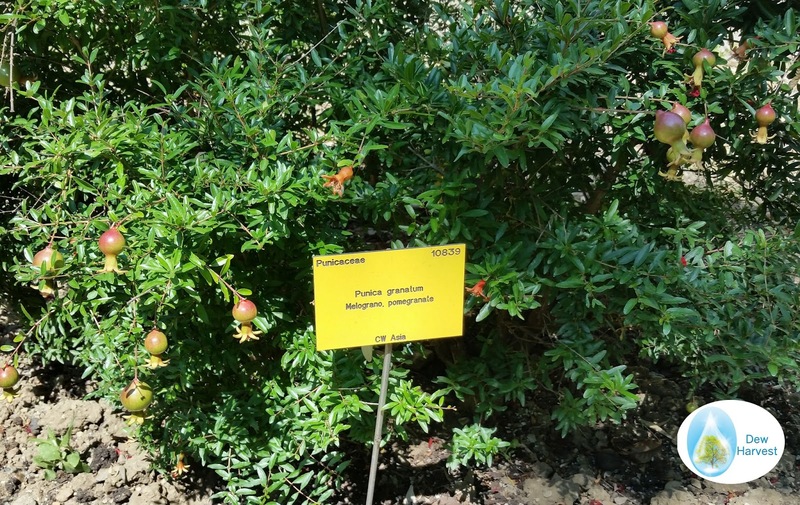 The pomegranate tree is native to Iran and has been planted extensively around the world. It requires a long hot summer to mature, meaning Mediterranean climate areas are ideal. You will want to buy soft seeded fruit trees if planning to eat the fruit whole, but hard seeded fruit if primarily desired for juicing. The seeds, however, are edible and a good source of fiber if eaten. These trees have a 20 to 30 foot canopy, and reach 15 feet in height. Pomegranate trees can be bought here. Figs are well known in the U.S. in their dried form but few people has tasted fresh figs. These trees do well in a Mediterranean climate (with long, hot dry summers) and will thrive immediately after planting with the water provided by the Groasis Waterboxx. 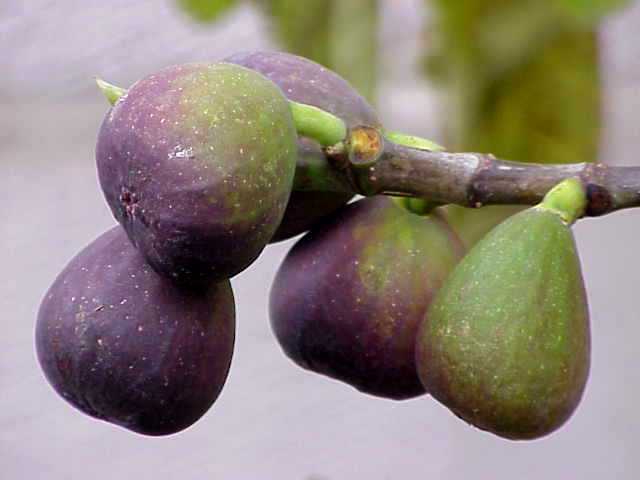 It is important to buy the common fig type of tree, as it doesn't need to be fertilized by wasps like the Smyrna fig. The fig tree can produce two fruits a year but the second (in late summer) is the primary crop. Common figs trees can be purchased here. This little known fruit actually comes from southern China. It is evergreen although its leaves look deciduous. It blooms in late fall and produces fruit in late winter or early spring. The fruits are usually eaten alone but are sometimes used in other recipes. The fruit tastes like a mix between peach and mango, and the flowers themselves are quite fragrant. There are a few self-fertile varieties ('Gold Nugget' and 'Mogi') but two should be planted within pollination distance for maximum yield. Loquats can be used in any recipe that is intended for peaches or apricots (or other stone fruit). Trees for fruit production (grafted specimens) can be purchased here. 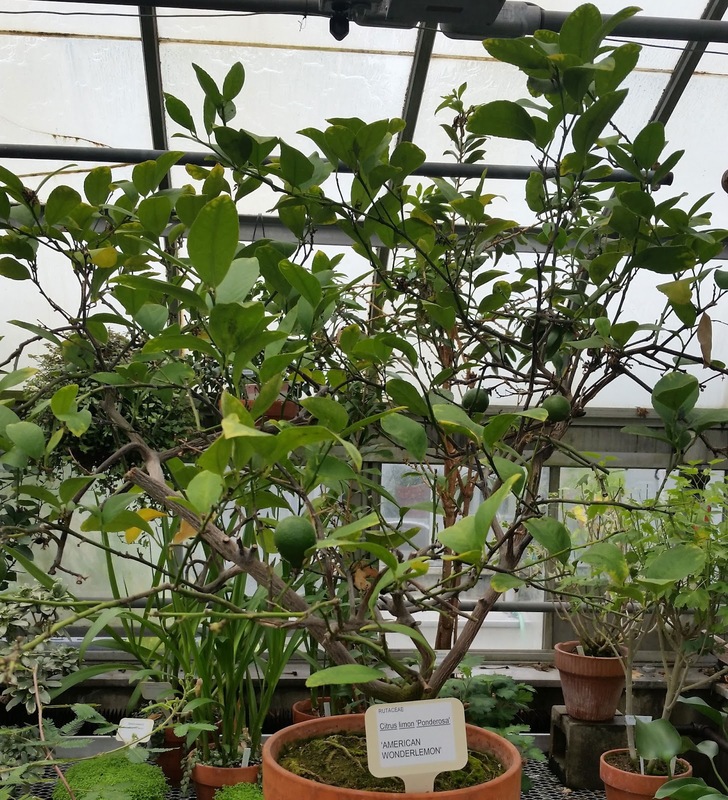 This tree, also from Asia originally, is well known for its popular fruit, sold canned in heavy syrup. A healthier fruit can be grown in the Mediterranean Climate using the Waterboxx and eaten fresh. This tree is also deciduous but evergreen. This tree requires deep watering that can be accomplished with once to twice weekly deep irrigation, or with the Waterboxx at planting. Mandarin trees can be purchased here. Also known as St. John's Bread or locust bean, this pod forming tree isn't exactly a fruit but it does produce sweet pods. The carob pod is made into flour and is used in much candy (and added to coffee in Spain and Germany), but can also be eaten directly from the pod (like sweet peas, to which the tree is related). This tree is dioecious (meaning the individual trees are either male or female, not both), and one male tree should be around every 25-30 females trees (male tree branches can also be grafted on to the female as practiced in southern Europe). The carob tree does have a tap root, which means it can be very hard to establish due to initial high watering requirements. Trees with tap roots do well if using the Waterboxx. This tree is very cold sensitive, and will not survive frosts, but can produce fruit year round. These fruits are very versatile, with the juice and rind being used in cooking. This tree will do well when planted on the south side of buildings with the Waterboxx. The Waterboxx can be removed before the tree outgrows it. Lemon trees can be purchased here. 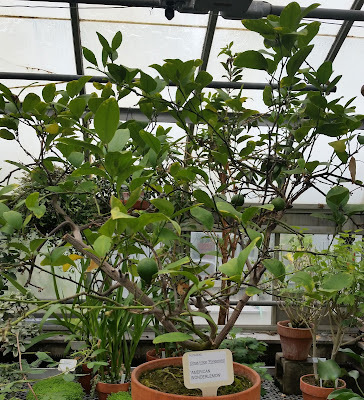 A lemon tree, growing in a pot in a Midwest greenhouse. We lack the climate to grow these trees outdoors here in the Midwest. As always, it is better to buy small grafted fruit trees and plant more than one to assure early and abundant fruit production. If you are a gardener in a Mediterranean climate area in the U.S. (likely in California), you may want to consider gardening through the drought with the Waterboxx. The Groasis Waterboxx allows trees to be planted in any season, and become established without regular rainfall or any irrigation. The Waterboxx collects dew and rainwater, slowly channeling it to the roots of a growing plant, creating a column of capillary water in the soil and inducing the trees roots to grow straight down to deeper water.. The Waterboxx also prevents evaporation of this moisture from the root zone of a growing tree, and can then be removed and reused up to ten times. Be the first in your area to begin growing fruit with the Groasis Waterboxx. Buy the Waterboxx here. You can learn the best nut trees for a Mediterranean Climate here. You can see all our blog posts about planting trees with the Waterboxx here. Where is Earth's Fresh Water Stored?